Very robust threaded nozzle, 1 1 / 2 inch (38,1 mm) external thread with 1 1/2 inch nozzle. We supply these threaded nozzle in an extra robust type with hexagon. Often these nozzle is used at pumps, hoses - both for water and for vegetable oil. For sealing we recommend the ptfe sealing wire (p-85175), which is suitable both for fuels and water, etc. 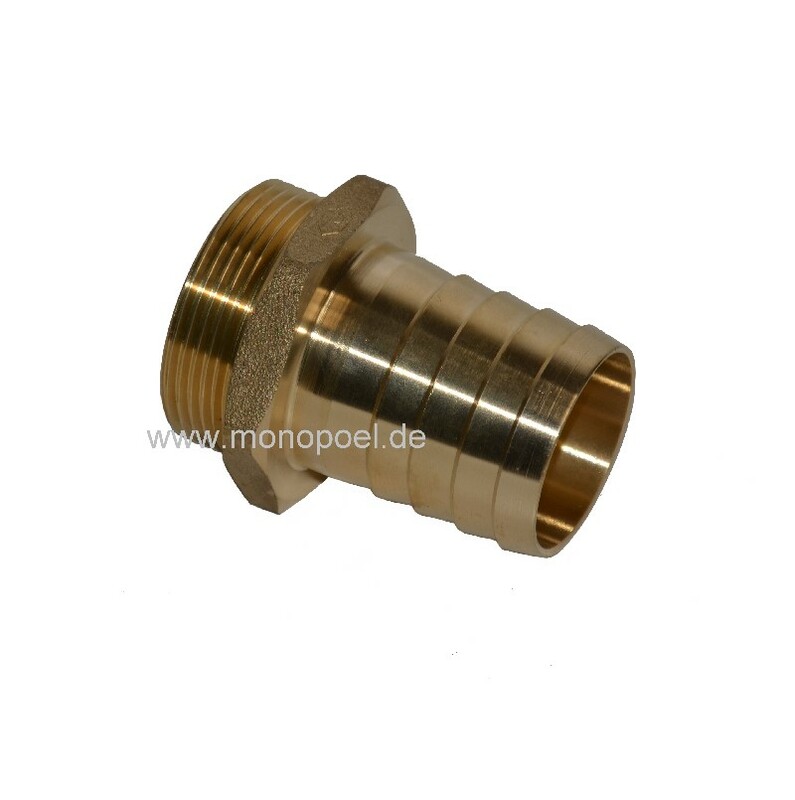 This threaded nozzle fits to the ball valve kv msv-1-12ii and our filler hose fs-38.